At the turn of the nineteenth century, Art Nouveau was both Europe and America's boldest and most fashionable style. It could be seen in the sinuous ironwork of the new Paris Metro stations, the curving asymmetry of Lalique's jewellery and Tiffany's Japanese-inspired glassware. 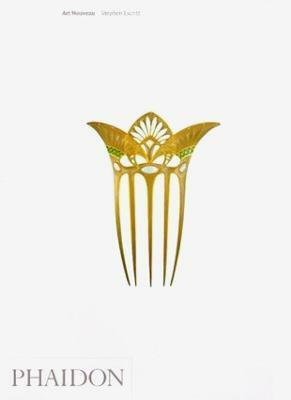 Art Nouveau brought a new decorative language to furniture, jewellery and graphic arts, as well as architecture, sculpture and painting. Known by a variety of names - Jugendstil in Germany, Secession style in Austria, the Modernista movement in Catalonia - it was a truly international new art for an explosive new age. This is the first book to examine Art Nouveau worldwide in the context of the issues of the time: from fin-de-siecle anxieties about the pressures of modern life to nationalism, spiritualism, the emancipation of women and the heroic cult of youth. At the turn of the nineteenth century, Art Nouveau was both Europe and America's boldest and most fashionable style. It could be seen in the sinuous ironwork of the new Paris Metro stations, the curving asymmetry of Lalique's jewellery and Tiffany's Japanese-inspired glassware. Art Nouveau brought a new decorative language to textile design, furniture, jewellery and graphic arts, as well as architecture, sculpture and painting. Known by a variety of names -- Jugendstil in Germany, Secession in Austria, the Modernista movement in Catalonia -- it was a truly international 'new art' for a new age. In this comprehensive and lucid book, Stephen Escritt defines Art Nouveau broadly, analysing the work of such diverse designers as Victor Horta in Belgium, Emile Galle in France, Charles Rennie Mackintosh in Glasgow and Antoni Gaudi in Barcelona. He argues that Art Nouveau was evolutionary, drawing on a range of sources including the French Neo-rococo, the English Arts and Crafts Movement and Symbolism, as well as revolutionary, exploring the inherent possibilities of steel and glass and the functionalism that was to be taken up by the Modern Movement. This is the first book to examine Art Nouveau worldwide in the context of the issues of the age, from fin-de-siecle anxieties about the pressures of modern life to nationalism, spiritualism, the emancipation of women and the heroic cult of youth. The antecedents of Art Nouveau; fin de siecle - Belgium, France and Germany; radical geometry - Vienna and Glasgow; dreams of nations - Finland, Russia and Catalonia; new art in the new world - the Americas; an all-consuming passion -clients and customers; is this the modern world? Art Nouveau and industry; the afterlife of Art Nouveau.